100 CLASSES FOR $1800 nett. 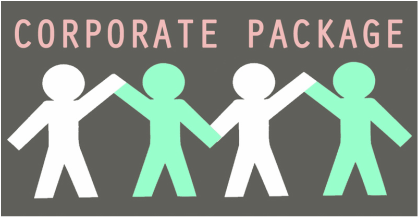 This package can be shared by unlimited number of co-workers from the same company. Can be used for all regular classes at all locations. Can be purchased by any representative of a registered company in Singapore. $150 for up to 3 pax for a 60 min class. Choice of class type, timing and instructor can be arranged. Please email us at yogaincsg@gmail.com for more information!